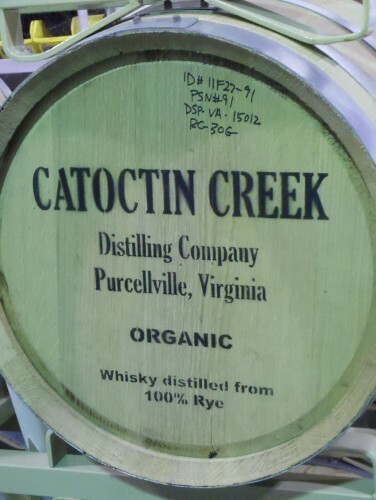 The mid-Atlantic has recently come into its own in terms of winemaking, and the DC-area in particular has seen a resurgence in brewing, but (legal) distilling has been somewhat slower to follow. However, as consumer tastes have migrated away from mass-produced libations, more and more micro-distilleries have been established in the area. According to a piece featured on CNN.com yesterday, the typical American worker gets two or three weeks off out of a whole year to take a vacation. Only 57% of U.S. workers use up all of the vacation days they’re entitled to. It’s unfortunate but that’s how it goes. We’re bad at turning off our brains for a vacation due to fear of future layoffs and the fast-paced work environment. What we need to get better at is letting ourselves take just a couple of days to recharge our mental, physical and emotional batteries. I, too, had to make the choice to take a vacation. Instead of a week or a few days, though, I took one day and made a weekend out of it. With Icelandair starting service out of Dulles tomorrow night, and having just returned from Iceland, I thought it would be a good excuse to show off some of my photos and convince you that you should book a nice long weekend in Reykjavik. It’s really not the hard to convince people, especially after telling them it isn’t that cold. It is beautiful though, and has kept me entertained and coming back for over ten years now. It doesn’t hurt that because of their economic problems, Iceland has become much more affordable than a few years ago. 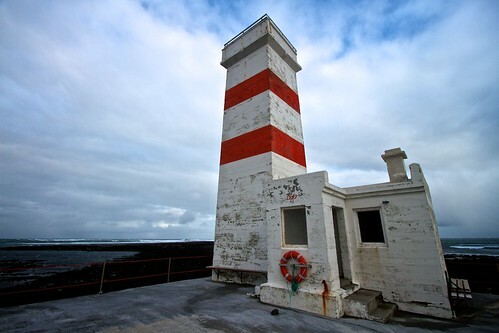 The lighthouse above is over a hundred years old, and disused, but oh, so photogenic. What was it Joni Mitchell sang? “You don’t know what you’ve got till it’s gone”? Let’s just say that it took growing up and moving away from Central Pennsylvania for me to realize the true greatness of the place. Amish quilts and baked goods? Rolling hillsides? Whatever. What I’m talking about is the sort of tourist spot that only my homeland can create: an abandoned mining town that’s been on fire for nearly 50 years. In 1962, Centralia was a small town just like any other, populated by miners and the descendants of miners. There were streets and houses and bars and churches and people. Today? Today there are streets. The houses and bars and churches and people are gone. In their place you’ll find the oppressive smell of sulfur, and steam spews from the ground constantly. It’s a post-apocalyptic wasteland that serves as a symbol of stubbornness, conspiracy and the decay of the American dream. And it’s three and a half hours from D.C. If you are looking to get out of town this Halloween weekend to avoid the crush of Colbert/Stewart fans, Marine Corp Marathon runners, and trick-or-treaters (have I left anything out?) then might I suggest that you hop on a bus, train, or plane down to scenic Asheville, North Carolina for MoogFest 2010. Trade the Comedy Central rallies’ rumble for the large-scale trip-hop of Massive Attack. Leave those marathon runners behind for an evening with Thievery Corporation. Pull a trick this year instead of giving out treats and head to North Carolina to witness the large-scale weirdness of MGMT. MoogFest 2010 is a three-day music festival taking place in multiple indoor venues in downtown Asheville on October 29, 30, 31. This unique festival is designed to celebrate the life, inventions, and influence of sonic innovator Robert Moog by inviting over 20 world-renowned, electronic music acts to perform over the course of this weekend. Robert Moog was the inventor of the Moog keyboards and synthesizers, a true music pioneer whose inventions have enabled thousands of musicians to push the boundaries of sound for decades. Asheville, NC is where Moog based his business and his home for the last 30 years of his life. Every year, there are many Moog Fests around the world dedicated to Moog and his instruments. These specialized events are usually smaller and intended for die-hard Moog enthusiasts. This year the Moog Institute in partnership with AC Entertainment (the organizers of the Bonnaroo Music Festival) have decided to combine all of these smaller Moog festivals into one gigantic celebration of electronic music and sonic exploration. MoogFest 2010 is a high-profile gathering of electronic artists and musically innovative Pop acts that is going to prove to be one of the most interesting, large-scale festivals of the year. There’s a time of year when 55 degree water sounds painful. When the air temperature is in the 80s and the sun is beating down on you… not so much. 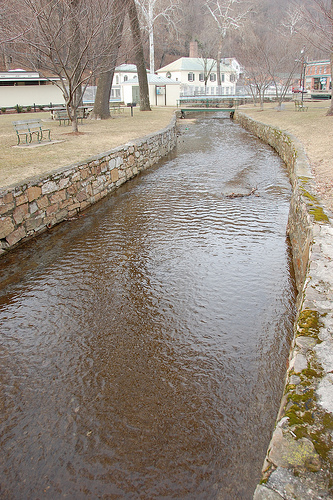 Then it just makes for a pleasant chill on your backside as you do a leisurely float down the Gunpowder Falls River. The river is just one component of Maryland’s Gunpowder Falls State Park but for my money – not that it takes much money to enjoy the river – it’s the best part. I’m happy to tell you about it in detail, but really here’s all you need to know: you get to float down a lazy river for either an hour and a half or a little over two hours – depending on where you get in – and it’s cool, calm water and you’re semi-shaded by lush greenery. I’m not entirely sure why you’re not already in the car and on your way. I’d rather be there now than telling you about it. 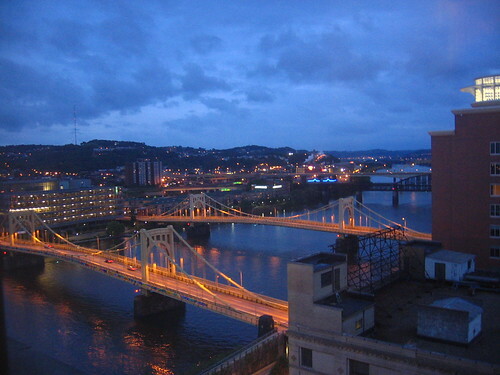 Updated on 12/29/10 with links, seasonal recommendations, and Pittsburghese section. I thought about not posting this pending the outcome of last night’s Caps/Penguins game. But then they won, so I figured it would be okay. Most of our Getaways features have been about smallish towns where you might go to unplug for a few days when you need a break. But what if you don’t want to unplug? What if you still want city amenities but not, you know, THESE ones? Maybe you want to spend a weekend seeing movies at multiplexes and taking photos of architecture and going to sporting events without feeling like you should really be at home doing laundry. Pittsburgh is a 4 hour drive from DC- 2 hours up I-70 to Breezewood, and then 2 more across Pennsylvania on the Turnpike. Staying there is nice and easy unless it’s a holiday or the G-20 is in town- there are 3 4-star hotels in the city, so it’s easy to Priceline a fantastic room for cheap and still find yourself centrally located. 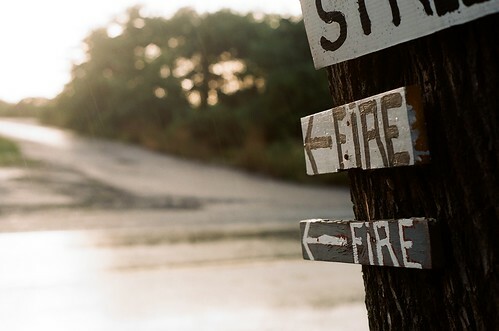 And what will you find when you get there? One of my favorite things about walking around the city is the “sense of place” you get. You know how when you’re walking around Capitol Hill and it’s like the very air around you is saturated with DC-ness? Pittsburgh has a lot of the same thing, only the look is what I would call “steel baron chic.” A lot of the city’s rapid development happened in the era of Andrew Carnegie and Henry Clay Frick, leading to lots of downtown buildings with interesting architectural details like talismans and outdoor molding. It’s reflected in the decor of the hotels as well- lots of lush draperies and tin ceilings- if you manage to get your room upgraded you feel like Carnegie himself when staying at the Omni William Penn or the Renaissance. For me Philly now means frequent visits with a dear friend whom I met in Scotland (go figure) and hours of aimless wandering around this fascinating city. Each time I marvel at how a place so physically close can sometimes feel so very far away. As a child I traveled once or twice to this historically-rich town (the nation’s temporary capital from 1790 to 1800) to stand on the very spots where the country’s Founding Fathers drafted the Declaration of Independence and Constitution. As school kids here we learned about Renaissance man Benjamin Franklin, famed not only for his revolutionary electricity experiment, but also for creating the country’s first insurance company and the city’s first public library and fire department. We ogled at the Liberty Bell, rung to announce the Catholic Emancipation Act of 1828 in Great Britain, hopped back on our bus, and trekked home to the nation’s newer capital. 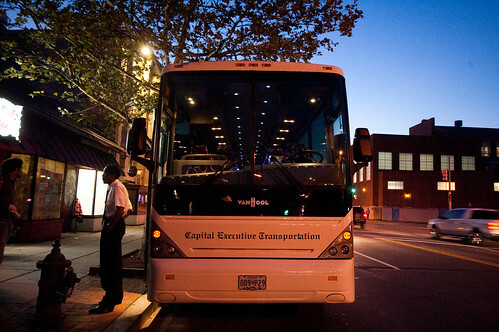 These days I make the two-and-a-half to four-hour “dragon bus” journey (I’d recommend the speedier/pricier Amtrak option if unpredictable budget shuttles aren’t your thing) when craving an urban change of scene. When DC is feeling just a little too rigid or pristine or orderly, and New York feels too far away, I head north to the “City of Brotherly Love.” Franklin deemed Philadelphia the “new Athens,” but to me, it feels suspiciously reminiscent of Glasgow, Scotland, perhaps for its mix of historic charm—cobblestone streets and narrow row houses in European-esque Old City—splashed with modern blocks of gray concrete and urban grit. In any case, the place is full of character and refreshingly down to earth. Grab your friends, pack the car and put on a big smile – it’s Getaways time everybody! 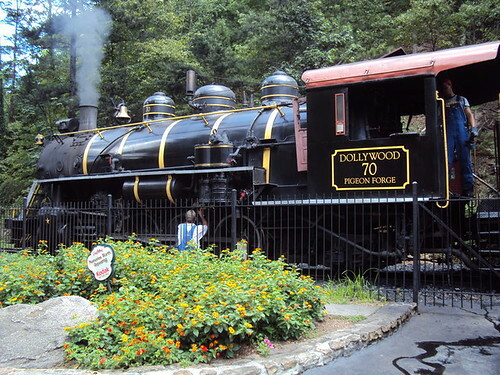 This week we are taking an exciting and fascinating trip to a few small towns in wild and wonderful West Virginia. WV is super far, it’s nowhere near here. It must be hundreds of miles away and you have to drive on dirt roads for hours upon hours through overgrown brush just to get there. Oh, and of course there’s the dodging of shotgun toting rednecks as you drive through the endless hills. Right? Right? Wait…WRONG! If you think like this, like thousands of other DC area residents do, take a minute and slap yourself. Then repeat (except this time on the other side of your face, to prevent facial bruising of course). Now that your face has healed, it’s reality check time. Harpers Ferry is 67.1 miles from the center of DC and accessible entirely by highways. Shepherdstown – just a few more miles and only one two lane, paved road needed. What’s that? You’ve heard of them-there towns? Tubing, white water rafting, a national park, hiking/camping, civil war battlefields and a town that looks the same as it did in 1861? Yep, that’d be Harpers Ferry. 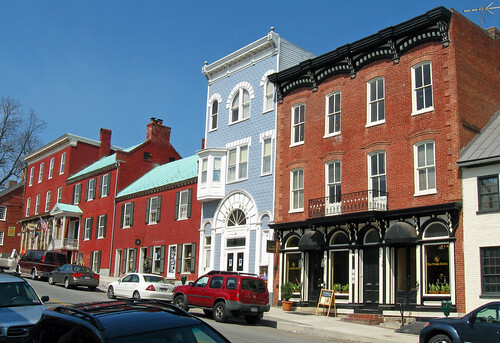 A quaint little artisan town, on the Potomac river, filled with unique little shops, art galleries and eateries, home of the very first steamboat, an accepting and socially progressive culture and host to a historic, growing, top rated small public university? 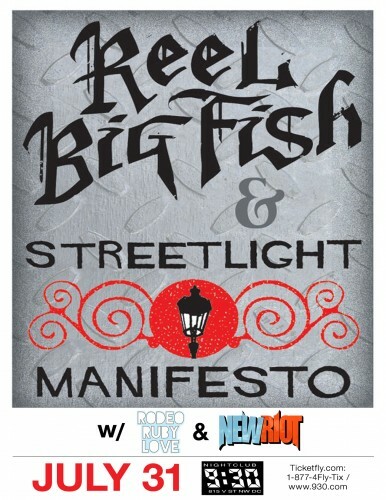 Shepherdstown it is. Nestled amongst natural beauty that beats anything you could have expected from a quick drive outside I-495, this little duo of WV small towns cannot be beat. Throw in the county seat, the historic town of Charles Town, and you get a trifecta of small town life with endless possibilities for an incredible getaway. When you’re a traveler who’s inclined to ration funds and vacation leave for passport-dependent voyages, it’s easy to forget there are adventures to be found closer to home. So a couple Fridays back, a few friends and I bid farewell to our D.C. offices a wee bit early and joined the masses traveling south down I-95. (Fortunately we’d come prepared for gridlock, chock full of patience and playlists.) Our mini-vacation destination? Richmond, incidentally the state capital located at the fall line of the James River in Virginia’s Piedmont region. But of interest to us that evening? A show by those lovable North Carolinian folk rockers, The Avett Brothers. We whizzed into town excited to begin our less than-24-hour southern tour. Best not to dwell on details of actual travel times (roughly double our estimate) and revamped dinner plans (we’d dreamed of buttery Southern goodness at Comfort, yet made do with hurried turkey clubs in an ambiance-less Marriott dining room). But no matter, the slow-as-molasses waiter was friendly, and the Turning Leaf he poured sufficiently chilled. 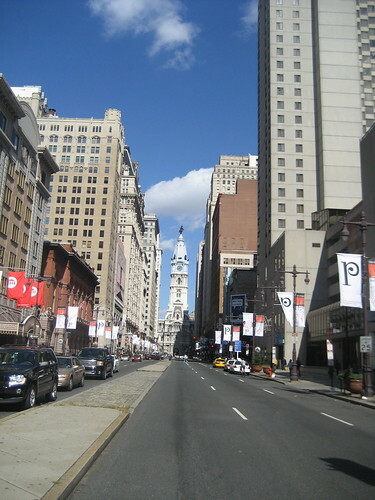 We instantly settled into the refreshing change of scene–so few suits, so many beards!–and headed two blocks down Broad Street to The National. The historic National theater, reminiscent of Falls Church’s State Theatre, opened with much fanfare in 1923 as the newest addition to the then-thriving Richmond theater scene. Inside this Italian Renaissance Revival space, described by one reviewer as “handsome, stately, adorned but not ornate…,” acts ranged from vaudeville performers and artists like Orson Welles to silent movies, which were accompanied by musicians in the orchestra pit below (the state’s largest). The theater sat up to 1,114 spectators, including those in four second-level boxes that remain intact today. The adored venue was saved from a wrecking ball in 1989 by the Historic Richmond Foundation. These days the ground floor, which gradually slopes for easy stage viewing over neighbors’ heads, is reserved for standing space, and concert goers with balcony tickets sit above. Seven full bars serve thirsty patrons, while tattooed bouncers stand guard around the perimeter. 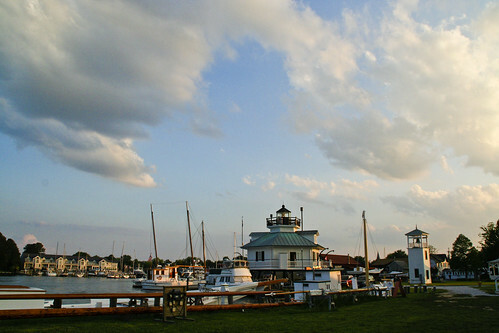 On the eastern shore of the Chesapeake Bay, across from Annapolis, lies a web of quaint and sparsely populated shore-side towns. 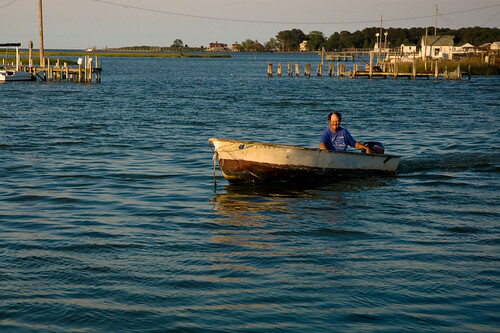 If you find yourself searching for a new day-trip from the DC, without the intensity and chaos of the some of the Delmarva seaside towns, a stroll through St. Michaels could do just the trick. Under two hours from DC by car, St. Michaels is a popular destination on the Eastern Shore, but by all means, not quite like a trip to Dewey. Sky Meadows. The name itself makes me think of rolling pastures, wildflowers, birds, and butterflies, all under puffy white clouds and a deep blue sky. But maybe that’s because I’ve been there. 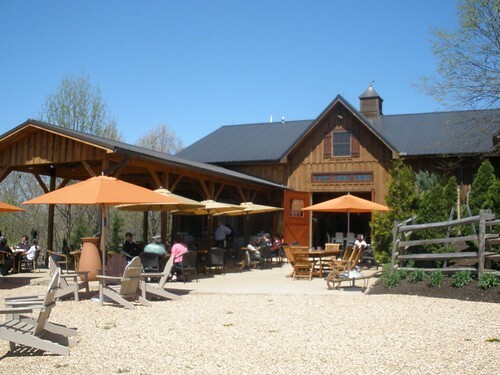 This humble Virginia state park is close to the city, just over an hour’s drive west from DC. A historic house and picnic tables are there, and you can catch fun programs ranging from Celtic music to astronomy nights to an annual strawberry festival. But I go there mostly to hike. These hikes are different from the classics in Shenandoah, such as Old Rag and White Oak Canyon. 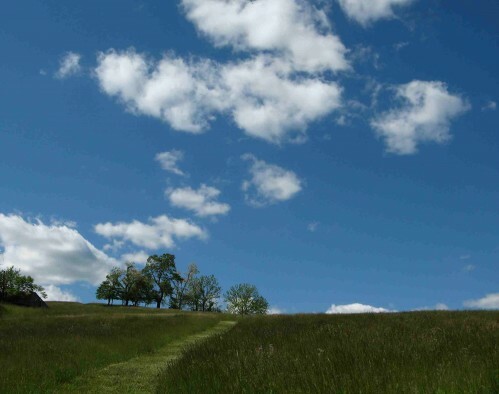 Their pretty, pastoral scenery gives them a gentler feel, and the trails meander in shorter, easier loops. To be fair, the beginnings are steep, but they rise up toward the sky through meadows of waving grasses and wildflowers. And they pass strategically placed benches that let you sit and look out at the farmlands, ponds, and softly curved mountains. Strolling the grounds of one of America’s most famous homesteads, with its tidy green spaces and views of the Blue Ridge Mountains stretching out from either side, one could see why Thomas Jefferson sought always to be here, at Monticello. Monticello, with its book-lined walls, its stretching gardens and its needs, was — for Jefferson — the only place worth being, even during his trips to France as U.S. Minister or his time as president. And honestly, who could blame him? 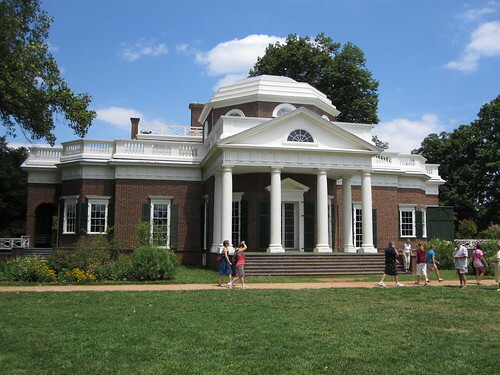 The day trip to Charlottesville, Virginia, from DC was inspired in part by a graphic essay by Maira Kalman in the New York Times called “Time Wastes too Fast.” Kalman retells her own pilgrimage to Monticello with a quaint and quirky awe at the man, his accomplishments and his life there. “If you want to understand country and its people and what it means to be optimistic and complex and tragic and wrong and courageous, you need to visit his home in Monticello,” she writes. Okay Maira, I’m sold. Nestled 12 miles west of the Eastern Shore of Virginia, in the middle of the Chesapeake Bay, lies Tangier. The island of Tangier was officially settled in 1686 by John Crockett, whose descendants still reside on this 0.2 square mile cluster of small islands and marshes. Despite its size, Tangier is a fascinating and wonderful summer trip for those looking to getaway. Getting to Tangier requires visitors to board a ferry from various points on both the Maryland and Virginia Eastern shores. However, don’t expect to take your car, as the only methods of transportation allowed on Tangier are bicycles and golf carts. Don’t worry the island is flat and totally walkable. Tangier also has a small municipal airport, but the vast majority of flights in are personal aircraft. Once there, you’ll be transported back in time, and I’m serious. For starters the locals, and there are only 605 of them, speak in a unique Elizabethan dialect of American English. Some linguists hypothesize that this dialect or “accent” has not changed since the occupation of English colonists. It’s like having Thomas Cromwell or Shakespeare talking to you. I recommend your first stop off the ferry be the Tangier History Museum. There you can learn about the island’s settlement, crabbing and oystering history, it’s role in the War of 1812, and much, much more.